Every so often in Playa Paraiso you will here a klaxon going off in the distance. It is coming from La Manga Go Karts and signals the end of a session. The track is about a km away from Playa Paraiso and they sometimes hold popular racing events there which attract large crowds. 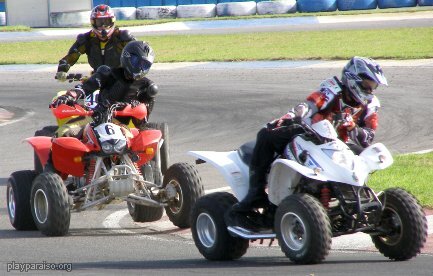 A recent event was quadbike racing which looked particularly dangerous. There are normally posters in Upper which advertise upcoming events and it is well worth going to have a look as you can generally just walk in for free. They have a good web site here.